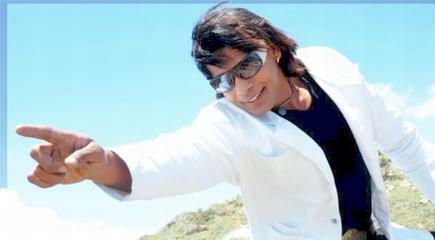 In the movie shot in Februrary 2011, Biraj Bhatt gave some very difficult stunt scenes. The movie was made under the banner of Seven Star Entertainment and was directed by Arvind Chaubey. The film featured a number of difficult stunt scenes performed by Biraj Bhatt to save his girlfriend in the movie, Ruby Singh. The movie features Biraj Bhatt, Chhotu Chhaliya, Ruby Singh, Shyamli Srivastava, Gopal Rai, Satya Pandey, Alok Yadav, Payal, Vinod Mishra, Jay Singh, Sanjay Pandey and Jaswant Kumar in main roles. The movie was made in the story written by Manoj K Kushwaha, music composed by Luvly Sharma, lyrics by Pyare Lal Yadav, RR Pankaj and Manoj Matlabi. The cinematography of the movie was done by Javed, action by Shakil Sheikh and arts by Anjani Tiwari.